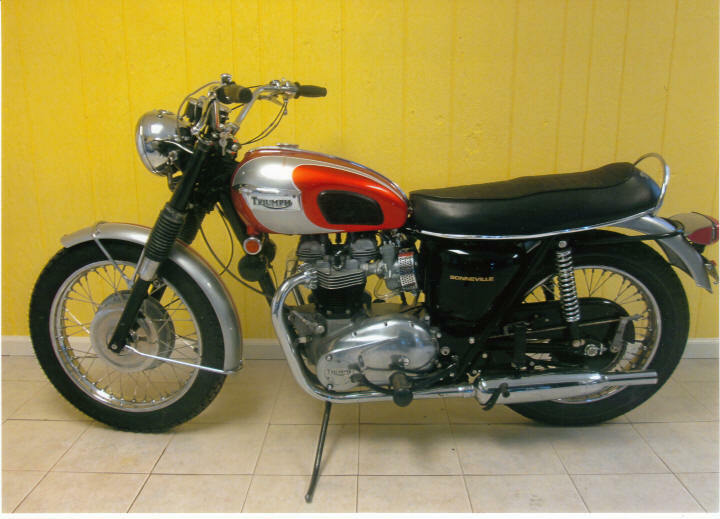 1969 Triumph Bonneville 650. Completely restored 2013. Numbers matching. Great original engine. Every nut, bolt and part restored or replaced. Have pictures and invoices of the restoration. 14K. A real show bike. 602-996-8885 or 602-541-6743. Phoenix AZ.